For 20 years ballet, as well as photography, have been my passion. Knowing ballet makes a difference in photos, ‘it makes me a better ballet photographer. I’ve photographed ballet in the Bolshoi Theatre, the Mariinsky Theatre, the Mikhailovsky Theatre, the Stanlislavsky Theatre, Lincoln Center (New York), Perm Opera and Ballet Theatre, Deutsche Oper Berlin, Bayerische Staatsoper Munich, HET Nationale Amsterdam, Teatro di San Carlo Naples, Teatro Massimo Palermo, Finnish National Opera Theatre, Novosibirsk Opera (NOVAT) and many more. I value the emotional experience of the ballet audience. My shooting style and gear is discreet. My camera is specially hand picked for ballet. Sony A9 is the only low light capable camera with absolutely silent e-shutter. I really don’t like to distract during the Swan Lake adagio. My lenses are bright, coming from Zeiss and Sony – it makes it possible to isolate the soloist from the background and shoot dark scenes like Giselle 2nd act and The Kingdom of Shades in La Bayadere. Nobody notices me, nobody hears me shooting the performance. This is the most used and convenient package if client needs ballet concert photos, both from Gala concerts and full length ballets. Client will receive all watermarked web-resolution photos and print resolution photos with no watermark — typically 75-150 per performance. Cost for the client 1500 € plus flight and lodging cost per two nights. we are publishing an article pn the ballet Onegin in the production at the Finnish Natuional Opera. Our correspondent mentions the gala last spring with a performance by Isabelle Ciaravola and Kenneth Greve. I wonder if we may include one of your wonderful Photos of the pair on our website? You may use my photos, but please refer to my website via live link with anchor text “Jack Devant Ballet Photography”. Mr. Jack Devant, do the rules you defined to Mr.Anders apply to everyone? Can we post in our sites under those conditions? Yes, for non-commercial puroses, you can post unaltered photos. Please refer to me always. RE: Seeking permission to use a ballet photo in an academic context. I am a PhD student in the Dept. of Organizational Psychology at Birkbeck, University of London. My research project is entitled “Turning Pointe: An exploration of identity and career development amongst professional ballet dancers”. My study endeavours to explore how dancers construct their identities whilst influenced by disciplined training, exposure to globalisation, and an increasingly widening repertoire that demands an unprecedented level of physical fitness from their bodies. In a time-sensitive career such as ballet, this study will also endeavour to establish the possible influences of individual identities on the relationship dynamics between younger and older ‘knowledge workers’ (dancers). The reason why I am writing to you is that I am preparing a Poster Presentation to showcase my studies so far at the forthcoming Doctoral Symposium organized by the BAM (British Academy of Management) at the University of Portsmouth on Monday, 7th September 2015. I have seen a wonderful photo of yours showcasing Osipova and Vassiliev in Don Quixote’s Grand Pas de Deux (the last act of the full ballet) where Ivan is lifting Natalia with one hand and she is is a develope a la seconde, a photo that says more at once than words can possibly articulate). I would like to request your kind permission to use this photo for my poster presentation in the context of the forthcoming Doctoral Symposium. I’m giving to you permission to use my photos. My only requirement is correct attribution. In the case of online publishing, please use link to to http://www.jackdevant.com/. Please let me know if you need photos in better resolution than available on my website. The best just got better. There is no better resource online for dance photography, history, background, and reference for who’s who in ballet today. Love this website. Thank you for all your hard work, Jack! Thanks for your nice words, Zaine. I appreciate you work, making ballet more accessible to wider audience. I just felt compelled to compliment you on your excellent photography. I happened upon your site after seeing a video of Osiel Gouneo, and looking to learn more about him. Your photos of him and his partner in the DIANA AND ACTEON pas de deux are magnificent, and I’ve enjoyed looking at many more of your pictures. I was wondering whether you had been a dancer yourself, either professionally, or as a student or amateur. In any case, you clearly know how to catch the right moments, within the flow of the movement. Bravo! I am an oil painter that would like to use one of your photos as a source image for a portrait that I would like to paint and sell. What would be involved in accomplishing this? Your photography is amazing and as I am not a ballet photographer, I love to paint the human form and your ability to capture it, through ballet, is second to none. I am writing to you from Estonian National Opera. I was responsible for some of the projections at the Tallinn Ballet School Gala. I was wondering if I could use your beautiful photos of that event on my online portfolio? My name is Alexandra Govorchenko and I represent TV channel “Nauka” ( “Science” ), which is a popular-science educational TV channel focused on Russian and global scientific achievements. Now I’m preparing to air our new film “Profdeformation” , which is dedicated to exploring the possible ways of various life-forms to adapt to different extreme conditions. One of the parts we dedicated to ballet – tried to explain the specifics with the help of inertial sensors and so on, and so on – and the heroine of our shooting was Ekaterina Ivanova. it happens, that we managed to film all the gravity and hardness of the ballet, but no firework :// So I want to appeal to you to get your permission to use a few of your pictures of Ekaterina Ivanova in my film – just to snow the other – beautiful – side of the medal. If you don’t mind, we can thank you by name in the final credits of the film. thanks for contacting. I replied to your e-mail. First – love your work. Very inspiring. Wonder if I could ask a quick question. 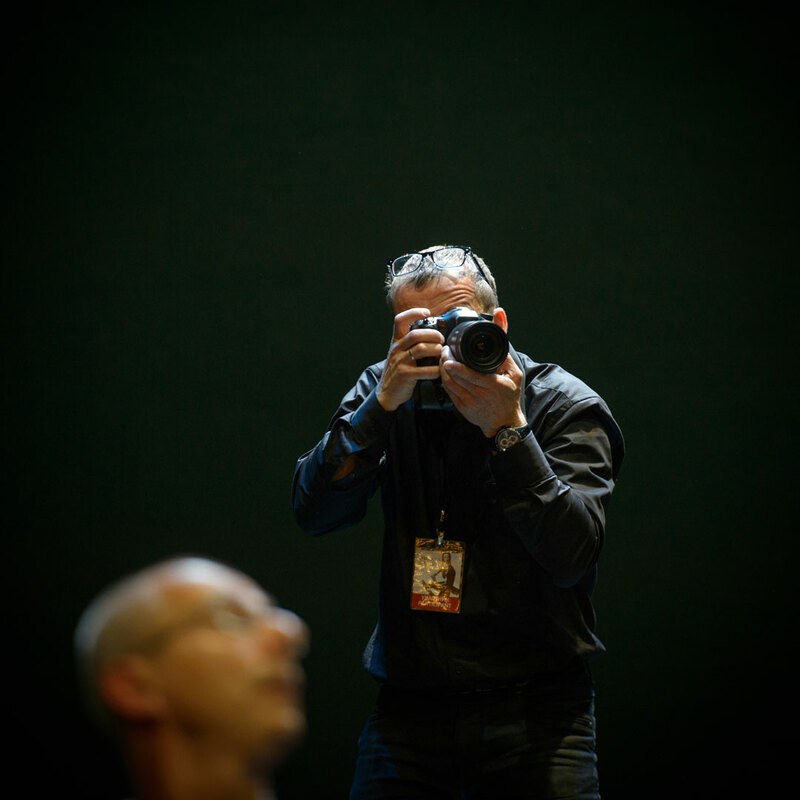 About to trade gear in for the Sony A9 – but still a little concerned about rumoured ‘banding’ issues under stage lights/rehearsal rooms, while in silent mode. Guessing you haven’t had this problem? Hi Richard. I’ve shot virtually all of my A9 work using silent mode. I’ve shout about 100 000 shots and had experienced very light banding only in 10 shots or so. So, I trust silent mode completely, what was not true with A7rII, which produced lot of banding and had very slow frame scan time — produced also artifacts of moving objects. A9 is free from these problems. Jack – that is incredibly kind of you to get back to me. And your response is so helpful. I really do appreciate it – and I will continue to watch and admire your work. And so sorry to hassle again.. but do you also use it without problem in rehearsal rooms – under artificial light? I am the coordinator of the Panama Ballet Festival 2019, a non-profit event dedicated to inspiring new generations the love of ballet. This year will be our third edition on July 29 and the main figure as Marianela Núñez, in addition to other figures. 1. I would like to request your kind permission to use Marianela Nuñez’s photo to promote the Festival. 2. The possibility that it is our gala, how will your fee be and where would you travel from? 3. If I would be willing to dictate a short seminar of photography for dance. As we explained at the beginning a non-profit event and we strive in our effort, it would be very important for our country that a photographer of his career visit us. Hello sir. First I personally was touched by your beautiful photos. we are planning to publish a book for Mats Ek and I wonder if we may use your photo of Mats Ek in this book? Thank you and I am looking forward to hearing from you! Managing Director, Panavision Europe Ltd.